It’s great to get back to work in January! How is the month so far to you? At YouNetCo, everyone is quite busy with work plans and executions to start off an energetic and blasted year. Indeed, we are fulfilled to bring you several good news within this month. First off was the official releases of our newest products Upgrade Member Levels and Ask Me Anything apps in last week. Today, I’m glad to introduce you our new Gamification app and the major upgrade of Ultimate Videos app. Let’s go through what’s new in these releases now. Gamification – Be Contributive and Get Rewards! Gamification is the program to reward prizes to most loyal and contributive users on your community based on their activities. Basically, the app encourages users to join your community and engage in pre-defined actions to earn points. Users can use these earned points to exchange for special offers or vouchers in the Rewards list. Combine with Activity Point, Gamification defines a new and innovative way to connect users to the activities of the community. So to put it simply, gamification isn’t just ‘game’. It’s more like a small competition among users in your community to determine the most active, helpful or inspiring member. All users’ efforts through creating content and associating to conversations… converts to real values depends on their degree of involvements. In return, via users’ activities, your community is brisk with contents and engagements. Additionally, Gamification is also an effective tool to measure and build a user’s reputation. The app offers abilities to teach skills, motivate people, offer recognition and establish loyalty among users in your community. This app takes advantage of core Activity Point app. Providers can give detailed info on each reward. Users can exchange the rewards quickly, easily and securely using users’ activity points. 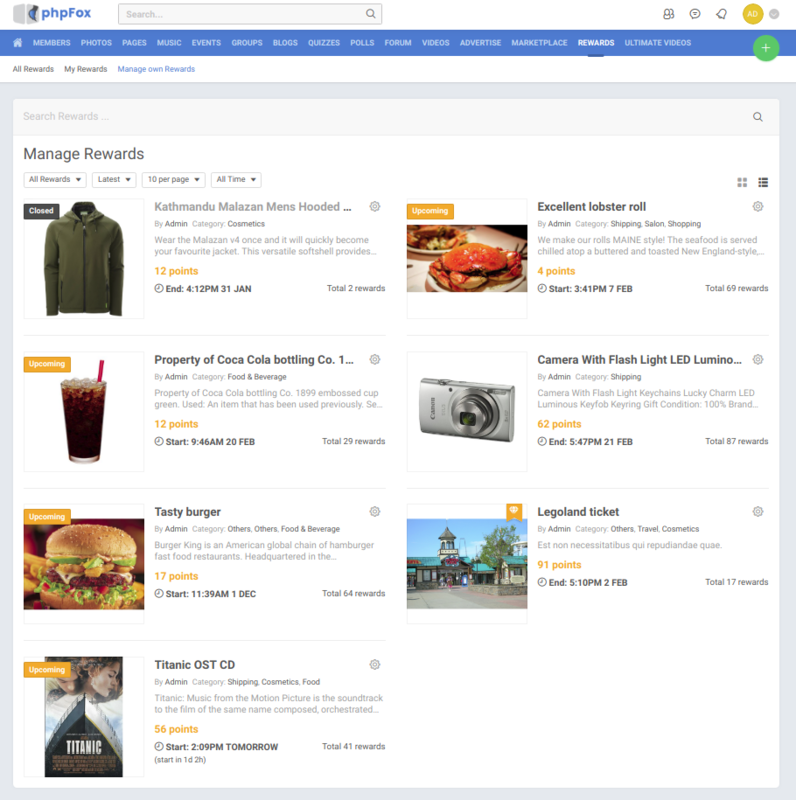 Users can manage and reference their rewards, transactions, and offers. During the release of Gamification, we are happy to offer you 20% OFF on the purchase of the app until Jan 30, 2019 (PST). Let take this opportunity to get the app today! We hope with Gamification app, you can build up an active and engaging community which guarantees a solid brand loyalty and user engagements on your site. Ultimate Videos 4.03 is here now! We would like to take a moment to thank all our clients for your feedback and suggestions! YouNetCo always welcomes and is happy to listen to all your constructive pieces of advice for producing better apps. In order to turn your expectations into reality, we gladly announce that since the beginning of 2019, upgrading current apps will be YouNetCo’s top priority. In fact, we are aiming to make YouNetCo’s products to a whole new level in term of Usability and Functionality, User Experiences and Performance. And the first app that we upgraded in this year is the Ultimate Videos. Our primary goal for this upgrade is to re-design and remake Ultimate Videos for more comprehensive interface with new/revamped features. The upgrade applies the best user experience which surely refreshes your viewing experience on Ultimate Videos. The performance is also endorsed by optimizing code to have an organized and better data structure. Update Layout: Users will have a useful and easy-to-use app appearance. 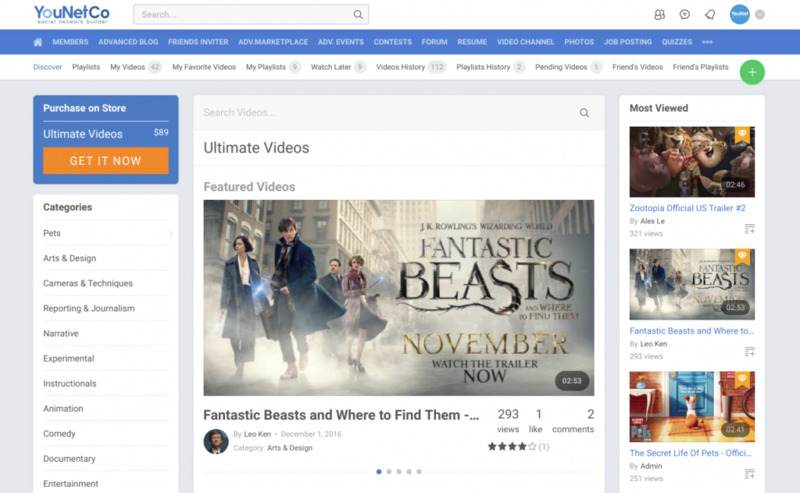 For instance, users now can select tabs to upload local video or enter URL, and the system will automatically detect URL. Improve Menu Structure: Rename and re-position the menu items to make sure users can understand and access the proper features quickly and easily. Improve Block Settings: User now can choose a block and adjust the content on it, sort as ranking, or change how the items in block appear (lists or slider). Rating: App provides a full list of users and ratings & Show average rating and a number of users rated video. Optimize performance & Organize data. Ready to upgrade today? Please wait! The Ultimate Video 4.03 requires YouNetCo Core 4.02 app to work properly. So, please upgrade or install YouNetCo Core app on your site first. Then upgrade Ultimate Videos to enjoy the new version of the app. If you still have any queries about these releases or our plan on app upgrades, please feel free to let us know. We will get back to you as soon as possible!